I thought it would be fun to compare “Chickens Come Home” and “Politiquerias,” which aired recently on Turner Classic Movies. A shot-by-shot comparison shows that even though they use the same plot and camera setups, the English- and Spanish-language versions differ markedly. 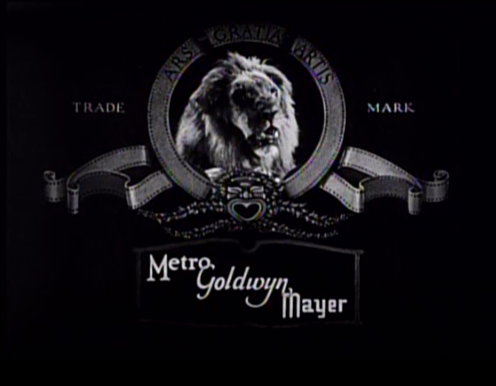 Notice that Art Lloyd was the cinematographer in the English version and Jack Stevens did the Spanish-language version. And even though both versions were edited by Richard Currier, they are cut quite differently. The Spanish version uses more close-ups and there are some gags that only appear in the Spanish version. Most important is a long entertainment sequence at Ollie’s home featuring Cantu the magician (Abraham J. Cantu) and the Senor Ali (Hadji Ali). In the English-language version, Ollie’s old girlfriend is played by Mae Bush. In the Spanish-language version, she is played by Rina De Liguoro. Cantu the magician in “Politiquerias,” in what appears to be his only film, according to imdb. Mr. Ali – a very thirsty man. “Chickens Come Home” is missing the MGM lion! The Los Angeles Examiner appears in a Laurel and Hardy film! Hardy lights a cigar. He later puts the lit end in his mouth by mistake. Here’s the continuation of the cigar bit in which he puts the lit end in his mouth. There’s the bandage on Stan’s right index finger. Watch the bandage on Stan’s right index finger. This entry was posted in Film, Hollywood and tagged #Comedy, #Laurel and Hardy, films, hollywood, magicians, movies. Bookmark the permalink. Fascinating! Here’s an observational tidbit: The reason the image quality of the Spanish version seems so much better is that it is from a 35 mm print. The English language was made from a 16 mm print. Which also explains why the MGM logo is missing. The giveaway? the ‘Film Classics, Inc.” burn-over, which was probably done by the TV syndication distributor sometime in the Fifties. Fascinating. The Spanish-language print is sharper but also more beat up. I recorded every Laurel and Hardy short I could find on TCM last week. My husband and I watched “La Vida Nocturna” (Night Life) last night. Stan and Ollie get funnier every time I watch them. And, hearing them speak phonetic Spanish was a real treat! We live about an hour from Mexico, in New Mexico, so we understand a bit of Spanish. What they said and what was in the subtitles did not always match up; another fun aspect of the whole show.